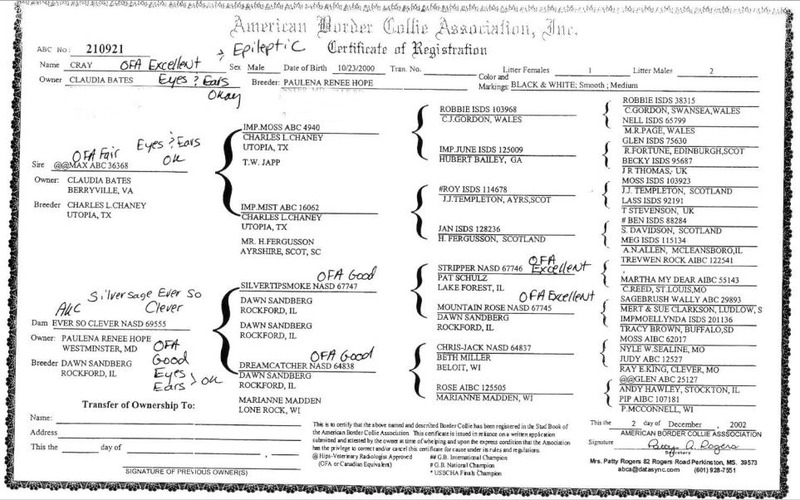 Note: Half sibling Sagehill Mischief Managed AKC DN19335103 is also listed in this database. Disease Progression: Cray had grand mal seizures. He had 3 doing agility and 3 resting seizures within three months time. Once on meds, he did not seize again. Cray died at 13 on 2/17/14 from hemangiosarcoma. He was seizure free from 2003 until his death.